Connect Wii U to the Internet to start enjoying features and services that deeply enrich your experience. Communicate with distant friends and family, discover new games, and much more. *Please note, certain network services may have limited features in South Africa. Starting your life with Wii U is easy. Create a user to personalise your experience, then add new software features instantly, and for free. 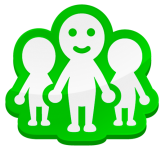 Miiverse, the unique network communication system for Wii U and Nintendo 3DS family systems, is now even better! Discover features like the Screenshot Album and Play Journal that make sharing your game experiences more fun than ever. Display your favourite web pages on the TV to share them with family and friends, or just browse the web on the GamePad without using the TV. 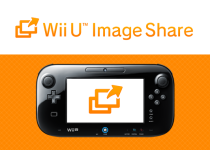 Use the Wii U GamePad's built-in camera to chat with faraway friends and family, even when the TV is in use. Create unique characters of yourself, your friends and family, then watch them take the starring role in supported games! With the exception of Mii Maker, these features require an Internet connection. 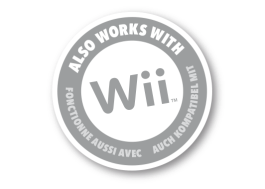 As well as playing games you won't find anywhere else, Wii U is also compatible with almost all existing Wii software. 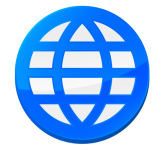 Play titles on Wii Game Disc and transfer data from a Wii console to use on Wii U. Push the HOME Button to suspend your game, letting you browse the web or check in on Miiverse, then push it again to jump right back into the action*. *Unavailable during certain gameplay sequences. Open the Daily Log to see which games you've played the most, or view the play records of other users registered to the Wii U console. Register other online players as friends and see what they're playing, then jump into an online match quickly and easily.